You may use your skill of GERRYMANDERING (if you have it) to redraw riding lines and transport yourself out of the park. Otherwise, you must roll the dice. If your roll is higher than, equal to, or lower than Protester’s Skill, you have killed it and may proceed to the polling station. 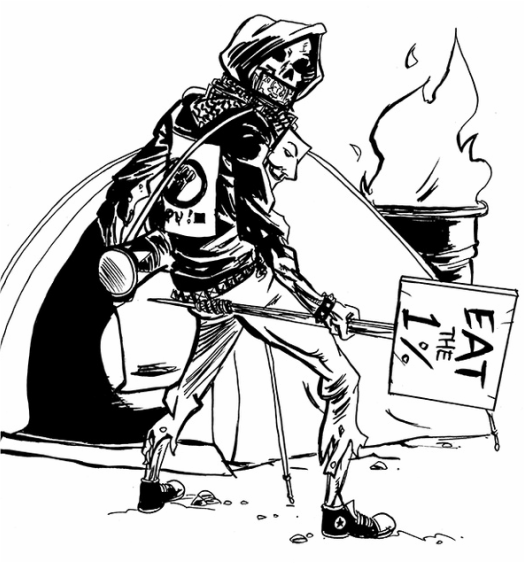 If you somehow managed to roll something else, or you cannot afford dice, the Protester drags you back to its tent.